Many turn their backs on places and people who brought them up especially if they are shanty and problems there seem endless. Not Linda Kute and other former Chitungwiza Ghetto girls. 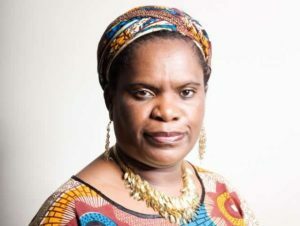 She recently formed an organisation called Vasikana VeChitungwiza in the Diaspora. She is now determined to mobilise all women and girls who were bred and brought up in Chitungwiza. The attendees discussed how they would use resources available to buy syringes, milk bottles for babies whose mothers died during birth. A story was shared by Evangelist Kalonga who said that during her most recent visit to the hospital learnt about a newly born baby whose mother died during birth and now to be taken to rural areas to be looked after by her grandmother. No viability assessment was done as there are no human and financial resources to do so. The child would need to feed on milk until such a time she could take more solid food. The attendees agreed that since the issue of feeding bottles and baby milk was more urgent based on what staff at the hospital said, some funds donated would be channeled towards purchase of baby milk and bottles for the babies. Each tin of baby milk costs US$8 per month and none of the women or their families could afford this. It was agreed that those who wished to donate would do so. However, funds would be used based on needs of women and children at the children. The situation of women who cannot afford to buy medication and pay for their treatment was agreed to be the most urgent priority. Therefore, the first project in future would be focused on the maternity ward. The project would go on a massive recruitment of former Chitungwiza girls and be headquartered in Luton. All meeting attendees agreed to establish a local organisation to bring all of them together. It was agreed that capacity building of members in leadership and fundraising would go a long way in strengthening the women in UK and Zimbabwe. Grant plan would see the project grow and approach some bigger donors in future. It was strongly felt that for now, more advocacy was necessary to ensure there is an awareness in UK on plight of women and children using Chitungwiza hospital. Therefore Linda and her team agreed to work closely with all organisations supporting Zimbabwe projects. The meeting attendees were inspiring. Their commitment to come together was amazing. Two of the attendees travelled all the way from Leeds. A T-shirt has been launched and is available for sale to help in fundraising efforts. See Ms Barbara Chinyani. Donations are welcome and please donate to Vasikana VeChitungwiza Account Number 03923851 and Sort Code is 20-45-45, Barclays Bank.